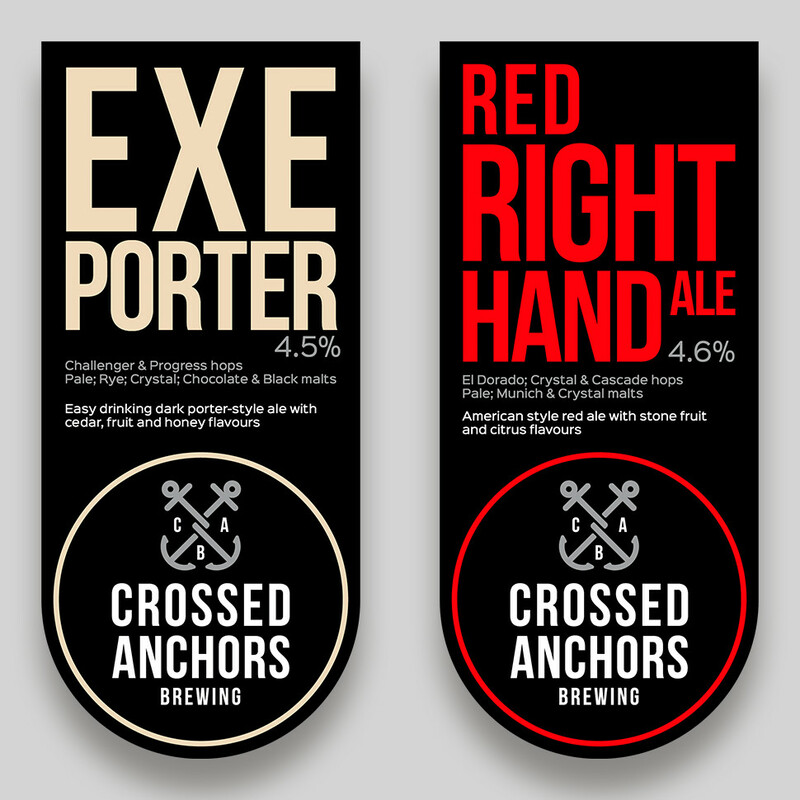 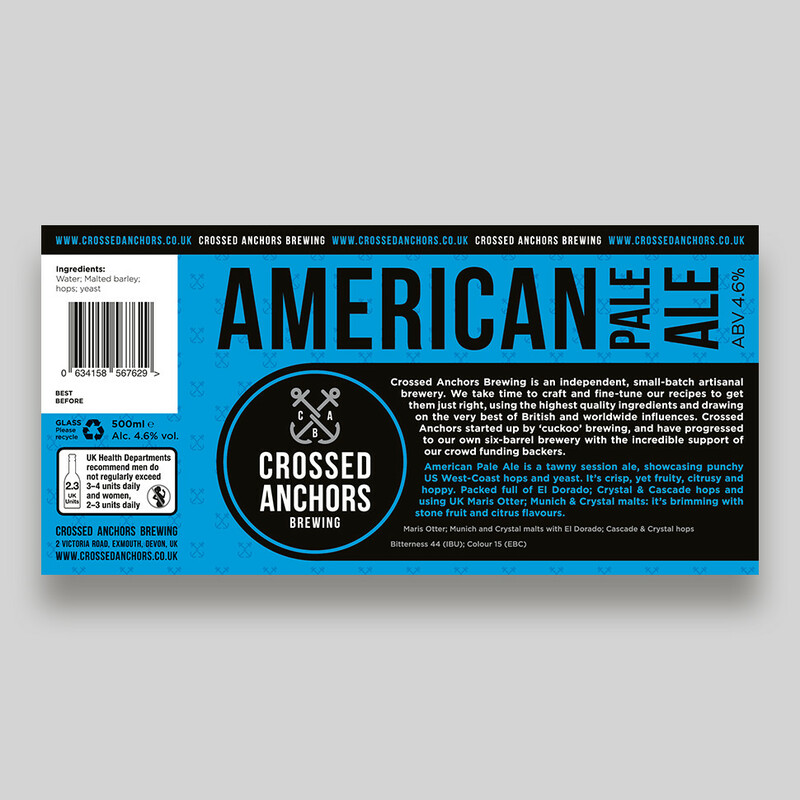 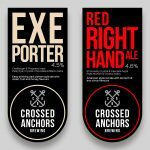 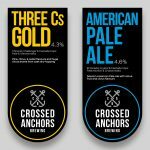 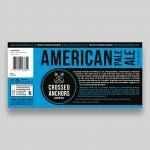 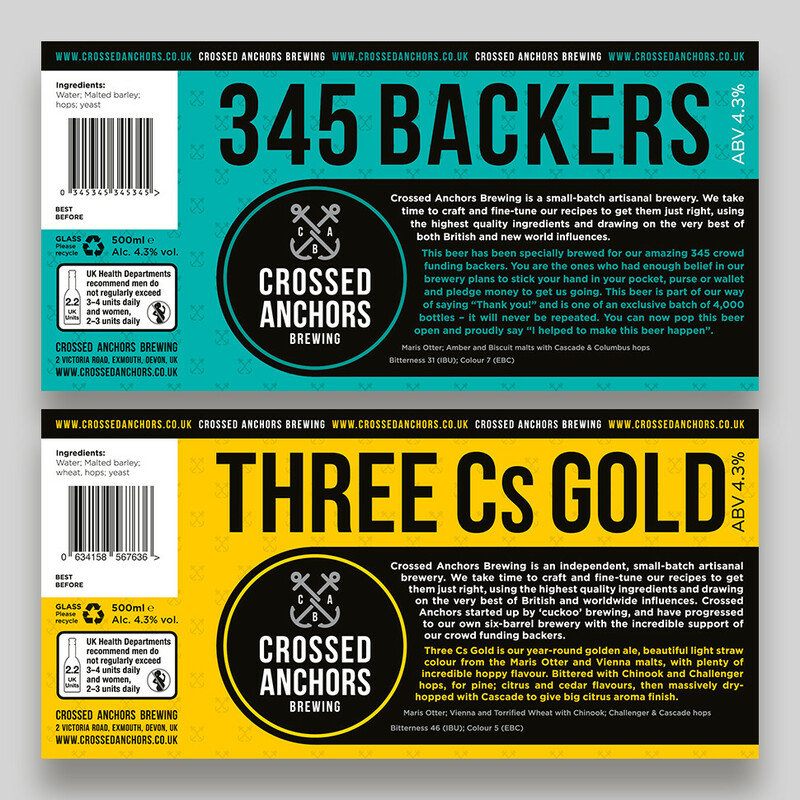 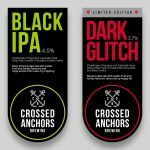 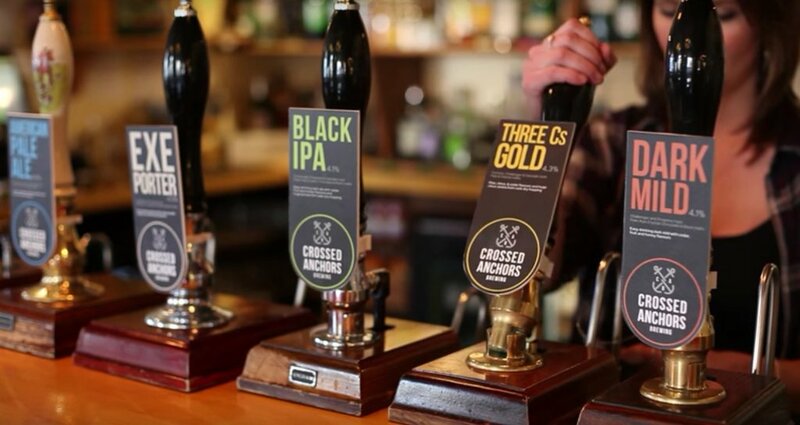 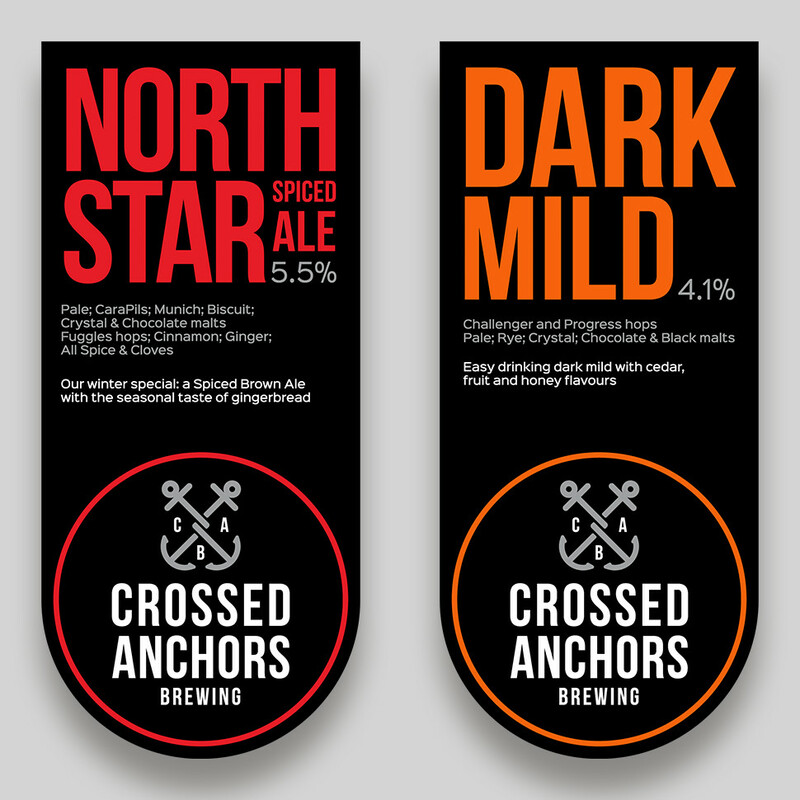 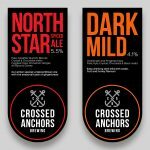 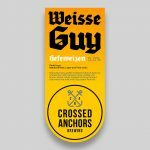 Crossed Anchors Brewing began life when multiple award-winning brewer and publican duo Paddy O’Riordan and Ollie Bainbridge joined forces and launched a brand new brewing company in Exmouth. 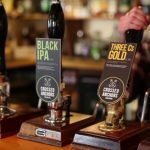 With the beer initially produced through “cuckoo” brewing (using spare capacity in an existing brewery), the pair now have a six barrel brewery in The Grapevine’s old stables in Exmouth town centre. 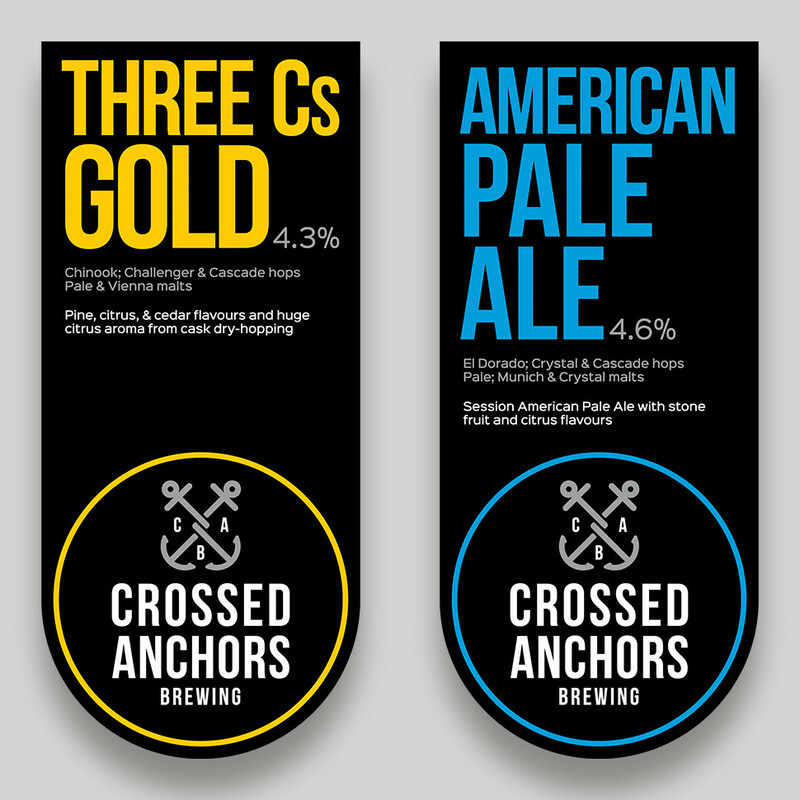 I was initially approached by Paddy to pitch my designs for Crossed Anchors’ logo against a few other companies. 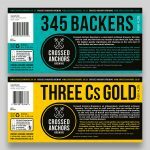 I really, really wanted to work on this project, I like beer after all, so I went back to basics beginning the process in my sketchbook. 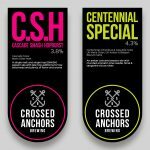 Fortunately I won through and subsequently have had the pleasure of producing pump clips and beer bottle labels for the wonderfully named brews. 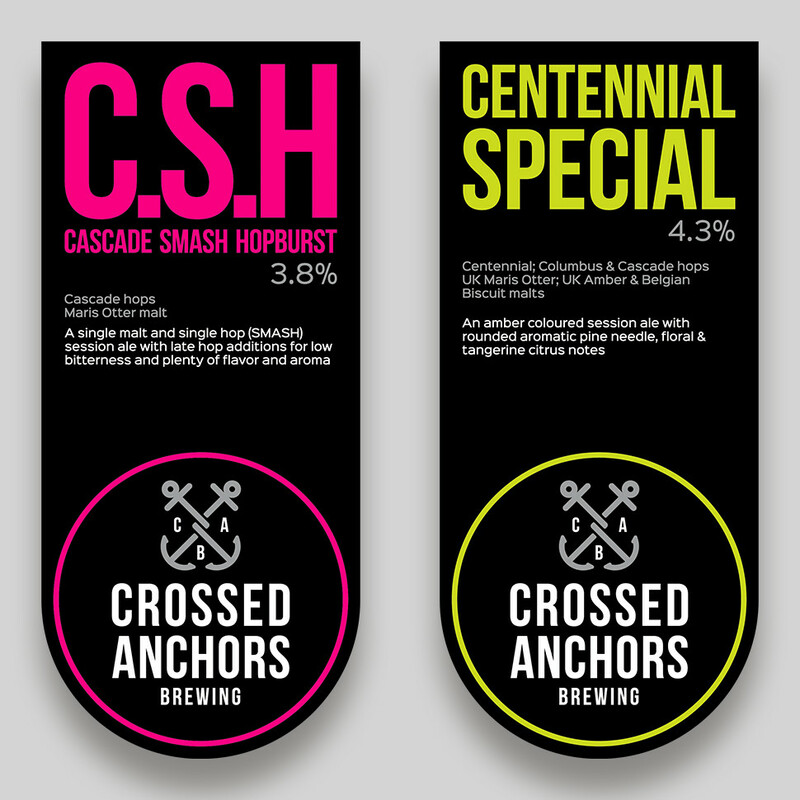 It always great to get a new pump clip request through, however, the more they produce the greater the challenge it is to find different and suitable colours! 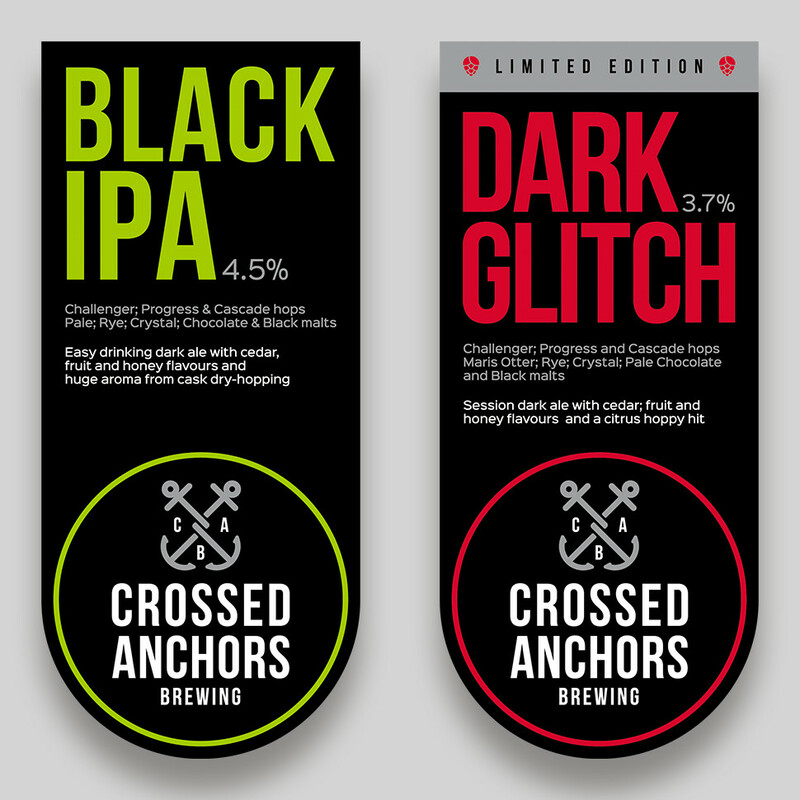 My favourite’s are the Limited Edition Dark Glitch (I like the hop symbols), Weisse Guy with the edited German blackletter typeface (to increase the legibility of the ‘G’) and the hoppy green boldness of the Black IPA.